Round 1 is always the toughest round of the year as preseason form is often a distorted view of what to expect from players. This season didn’t disappoint with unexpected good and bad scores cropping up everywhere. New Perth import Jameel McKay got off to a flying start and led all scorers for round 1 with 98 (so close to the century). Fellow import Jaron Johnson was great with 78 but the third of the trio and the one with the most expectations, Casey Prather, only got 36 after finishing in the negatives for his first game. Damian Martin also joined the Perth party with 52. Jerome Randle (78) showed that his preseason form really should have been ignored, but Melbourne United took the prize for biggest change from the preseason, with player’s scores looking almost nothing like expected. Cedric Jackson dominated with 92, which I think was more than every single one of his preseason games combined, whilst Ramone Moore showed some consistency over the two games with 60. Chris Golding (6) and Devin Williams (8) seriously burned those who picked them, while Todd Blanchfield (18) wasn’t much better. Jeromie Hill (44) was the surprise package of the round, and was only just edged out of being the best value selection by Shaun Bruce (48) and Mitch Young (46) by virtue of Brisbane playing two matches. The top trade targets for this round will be Marvelle Harris and Rotnei Clarke. Illawarra looks great and are about to go on a 3 week run of doubles, if you’re missing either I recommend getting them now. Jameel McKay and Jaron Johnson both scored well and look like they will be consistently solid this season, both are definitely worth getting. Despite their higher price tags Cedric Jackson and Kevin Lisch showed why they’re renowned as such great players and if you can afford them then they’re worth considering, particularly Lisch given Sydney’s long run of doubles. You should also consider Greg Whittington given Sydney’s run. Cheaper options are led by Jermoie Hill, although buyer beware, he was given the opportunity to get this score though Khazzouh’s absence and Maric’s foul trouble. He’s unlike to keep scoring at this rate but could be some nice quick cash, particularly if he has one or two more great games. Shaun Bruce is looking solid and scoring well, while Mitch Young enjoyed extra court time, but he’ll be impacted with Bairstow’s return. Brendan Teys was given a lot of court time and might finally deliver, while Rob Loe was given a lot of opportunity and showed some nice touch that wasn’t there in the preseason. If you selected any of Devon Williams, Chris Goulding, Michael Bryson, Terrance Ferguson, Todd Blanchfield or Travis Trice, then you could consider trading them now before their price drops. Whilst they will probably come good with time and this is effectively a sideways trade, we have plenty of trades in NBL Dream Team and switching them for someone who is going to gain value is a ok move, particularly given their aren’t too many forced moves for most of us to make. I’d avoid getting any of the Cairns players still this week as they are the one team which won’t go up in price and it was hard to get a read on them from their single match. I’ll also be waiting at least one more week before getting Bairstow, even if he is back, as his price won’t rise straight away so I can make other trades. If you have nothing better though, you can bring him in for the cash. Also, of particular frustration to me personally, after all the hype surrounding Finn Delany he failed to take the court. I will be trading him out despite how much New Zealand talked up his preseason, as it looks like he’s still not going to get much (if any) court time now that Penny and Webster are back. Thoughts on Creek? is he too unpredictable to have in the team… Would you trade if you have nothing else to do? I would keep Creek (I will be). He had a rough first two games and still got a decent score, he’s showing all the signs of being brilliant, he might just take a few games to settle down, plus he has another double, so is a pretty safe hold. Good advice – i’ll give him another go. Mccarron will depart this week however, possibly for Teys or Bruce. Cheers for the write up Tristan! What is the word on Cam Bairstow? At the moment am trading Jervis & Majok to Rotnei & Bairstow. Can’t hold Majok even if they have 2 doubles coming with the 8 minutes he got on Sunday! Yeah, I have no idea why Majok got such little court time, Melbourne is a really hard team to read at the second, I think they’ll need a few weeks to settle into the season. Yeah, good problem to have, most people have at least one serious dud in the first round. Trading out DJ will give you a nice chunk of cash in the bank. Start Newley or Andersen this week? Andersen was poor against Adelaide and they’re playing them again this round. I generally back the player with the double as good players rarely have two bad games in a row. He’s trying to fit into the Perth structures with a bunch of guys who know of really well. Given that he scored well despite looking lost I’m backing him to just get better from here. Yeah I’m holding, as a Cats fan though I’m a bit nervous, haha! In another note, Marvelle Harris was paying $34 for MVP yesterday morning…now he is at $8! I only got a 10er on him. Team is looking solid. Perth have only one double in the next five rounds. If I didn’t start with McKay I probably wouldn’t bring him in for that upcoming schedule to sit on the bench. DJ still has a double this round so I’m holding one more week and hoping he can bounce back and banking the points. True, I thought this at the time, I just think Jameel is more likely to be consistent than DJ…Jameel will be bordering double doubles every single game, DJ will have big games then have mediocre games…will have to think about it. If DJ doesn’t have a good round then he plummets in price and McKay rises, the cash grab might be worth it. Anyone have word on when Bairstow will be back from injury? Think he might be projected to come back this week, but he won’t move in price until he’s played his 3rd game so he isn’t a must have this week. Marvell Harris for Casey Prather and Jameel Mckay for Tom Jervis. I considered trading DJ but Adel have the double figured will see how he goes. My major dud from round 1 was Anthony Drmic, rest were pretty good. 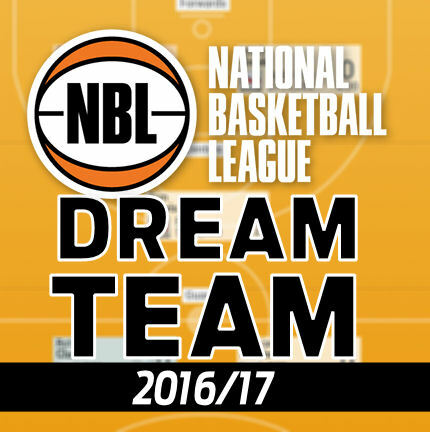 Not sure which guards to start this round Damian Martin, Cedric Jackson, Marvel Harris (just brought in), Brad Newley or Rotnei Clark. Any suggestion? I am thinking Harris to FWD with DJ then have Cedric and Newley? Captain on Marvelle or McKay? How many here are looking at doing RDT NBA Fantasy? Looking alright and have signed up as well.